Main textile - membrane with WR treatment. 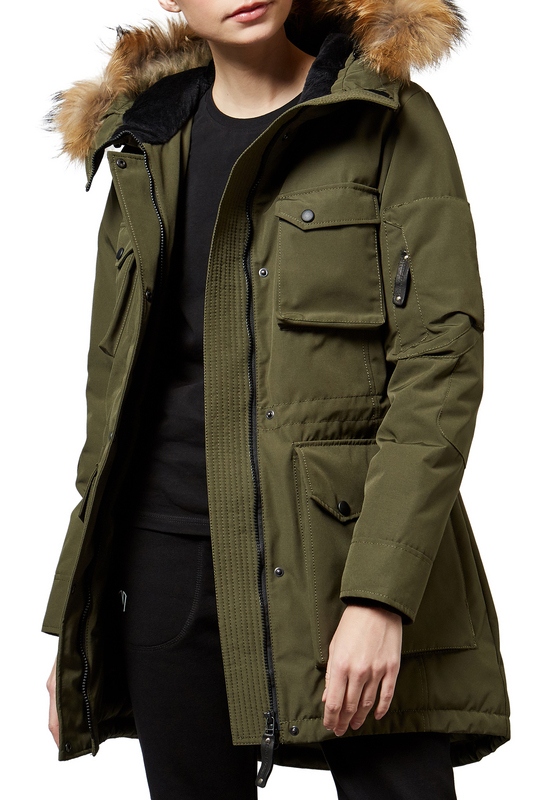 Goose down filler, insulated outer pockets, a sleeve patch-pocket, inside warm cuffs, а tunnel hood with removable raccoon fur ruff, adjustable waist and hood draw cord; one shoulder strap. Patch Arctic Explorer on а sleeve, а stripe Russian North on the strap of the hood, one shoulder strap.